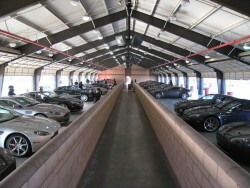 The First Aston Martin Track Day, by Easy Street Motorsports and race car driver Ali Afshar was held at California Speedway on March 11 th 2008 from 8am – 6pm. The Track Day event attracted Aston Martin owners and enthusiasts from all over the country, with a range of cars like the V8 Vantage, DB9 and DBS. 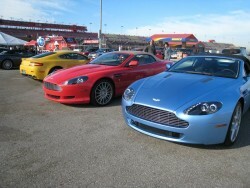 The day allowed the owners to experience the performance of their Aston Martin in a safe environment. 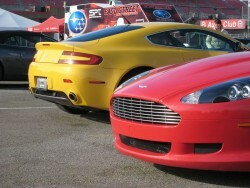 The Aston Martin track day event was featured on the show ‘Hollywood Highway’ on the ‘Virtual Channel Network’. 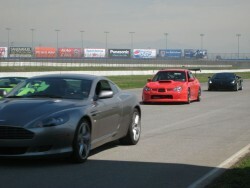 The show featured interviews from many of the guests and showcased the cars on the track. Click the link below to view the show.